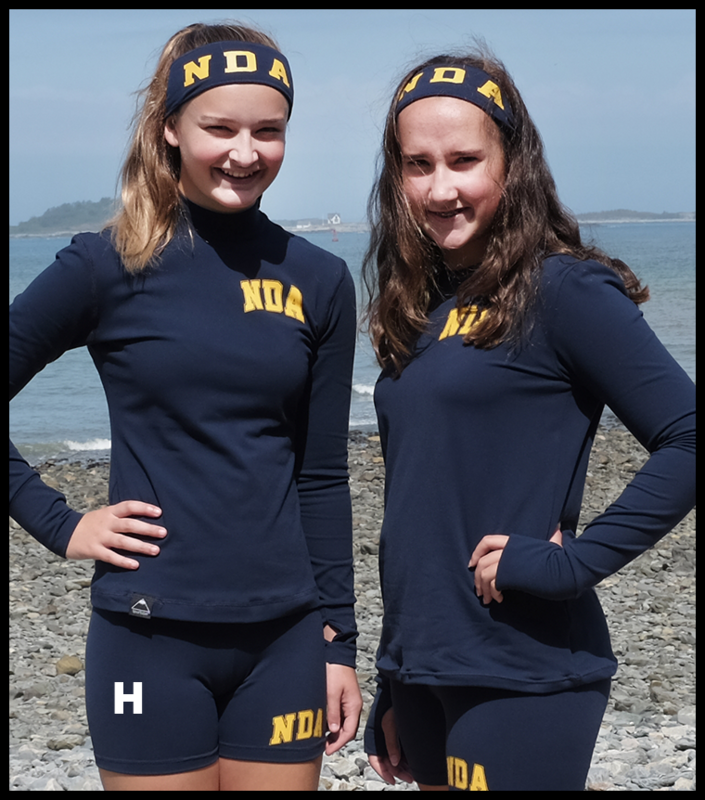 SporTobin and the NDA Booster’s Club are working together to raise funds for Notre Dame Academy with this amazing collection of athletic apparel. All sales are final. All of our items are proudly made in the USA. If you need a longer length than any of the listed, just please let us know in the notes of your order. 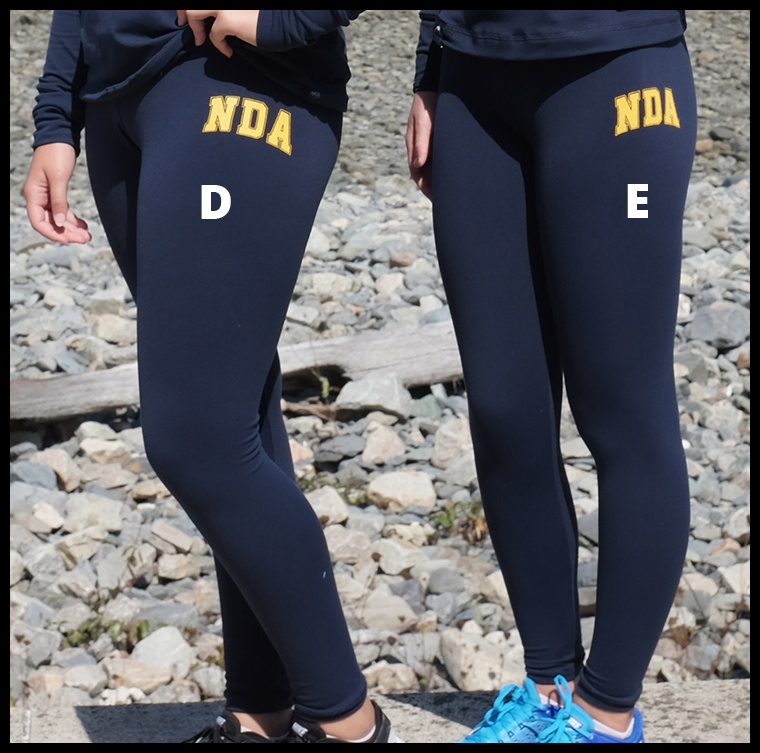 Online ordering is currently unavailable for NDA products right now. 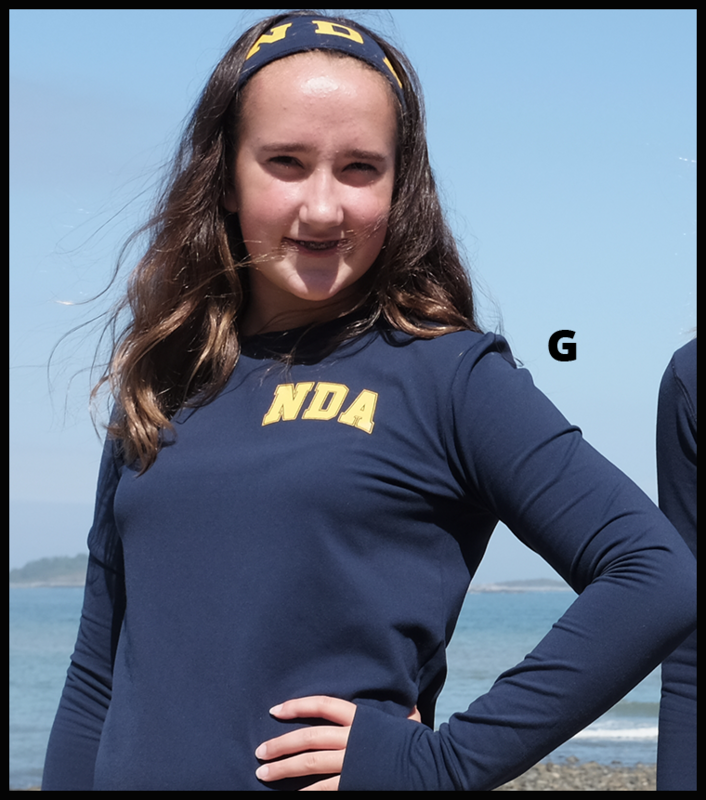 Apparel will be sold on August 30th at the NDA Sports Meeting. The Booster’s will be selling it. If you have any questions, you can contact us here. A. Tie-back Headband. One size fits all. Materials: Supplex-Lycra. $12. 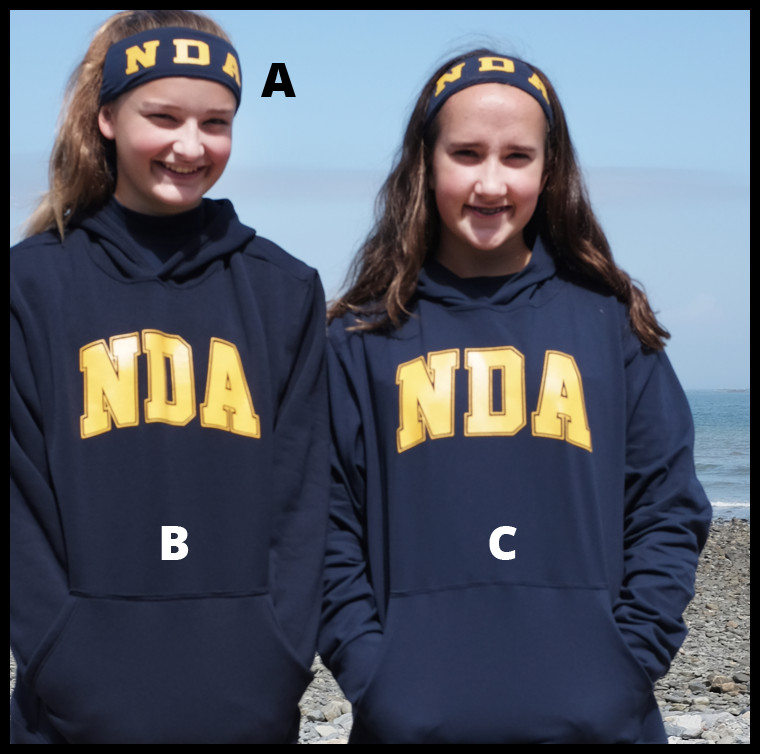 B. Fleece Hoodie. Youth (8, 10, 12, 14). Adult (S, M, L, XL). Materials: Fleece. $55. C. Supplex-Lycra Hoodie. Youth (8, 10, 12, 14). Adult (S, M, L, XL). Materials: Supplex Lycra. $40. 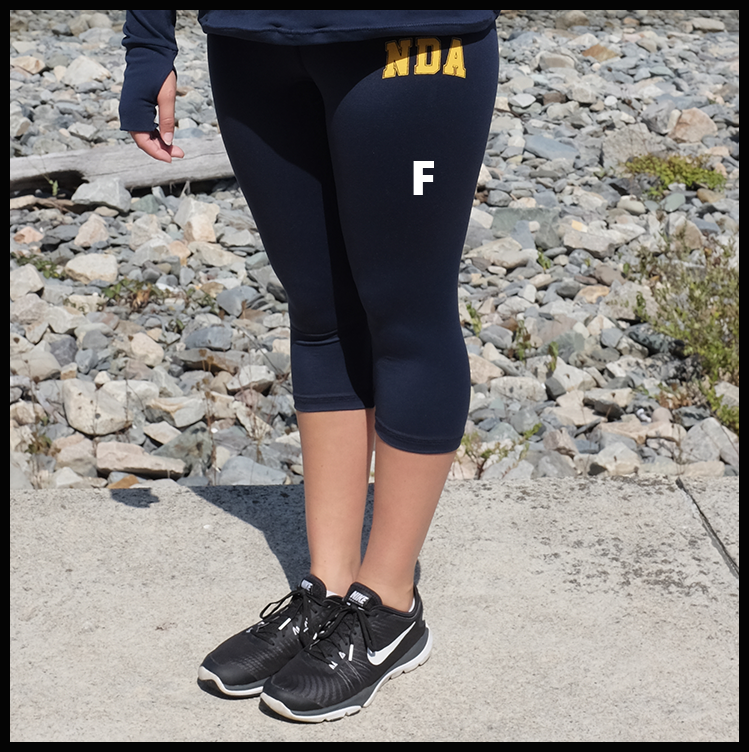 D. Fleece Leggings. Youth (8, 10, 12). Adult (S, M, L, XL). 28” inseam. Materials: Fleece. $45. E. Supplex-Lycra Leggings. Youth (8, 10, 12). Adult (S, M, L, XL). 28” inseam. Materials: Supplex Lycra. $25. F. Capris. Youth (8, 10, 12). Adult (S, M, L, XL). 18” inseam. Materials: Supplex Lycra. $20. G. Supplex-Lycra Crewneck with Thumbhole. Youth (8, 10, 12). Adult (S, M, L, XL). Materials: Supplex Lycra. $30. H. Shorts. Youth (8, 10, 12). Adult (S, M, L, XL). 5” inseam. Materials: Supplex Lycra. $15. I. Fleece Flares. Adult (S, M, L, XL, XXL). 29” inseam. Materials: Fleece. $50.